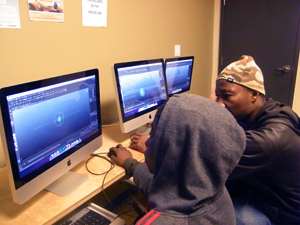 Regent Park Focus's Media Lab serves as a resource to participants with an interest in multi-media. The media lab consists of 12 computers that allow for a variety of workshops and media training to take place. Participants engage in research, blogging, magazine writing, script writing, video and audio editing, animating, graphic design, and more! Interactive storytelling allows the audience to play a part in the story-making process. Whether viewing the world through a virtual reality, or shaping it with your fingers, interactive storytelling is cool to build and share with others. Projects incorporate elements from all kinds of backgrounds: sound and music, graphic design, film, screenwriting, acting, photography and a bit of science and math background - since we are working with technology. The themes of the projects range from the Regent Park community to the city at large. The goal of the program is for everyone to get to know each other better, learn new skills and be inspired! 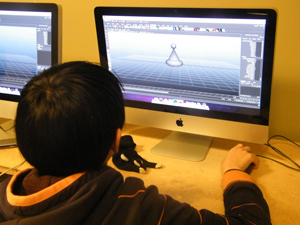 In our 3D Modeling program, youth learn how to use advanced 3D modeling software such as Autodesk Maya and Mudbox. They gain skills in creating 3D objects for video games, rigging characters for animation and even how to produce an animated short film! 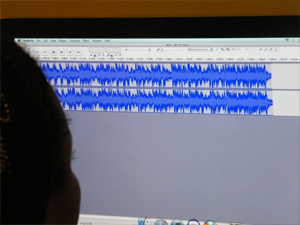 Youth can learn audio editing with ease at our new media lab using Audacity and Adobe Audition and Sounbooth and other great audio editing software. 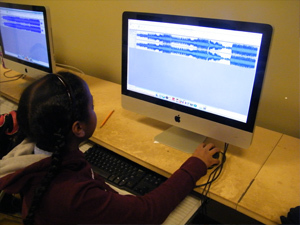 They can learn to how to produce audio public service announcements and radio documentaries. 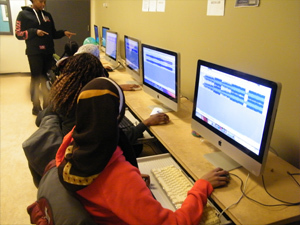 Regent Park Focus had some excellent indie video game developers lend there skills to the centre, with a variety of game development tools, including: Unity, Unreal, Scratch and Ren'Py. 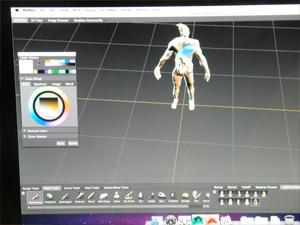 Some of the workshops even included 3D Modeling with 3D Studio Max and an intro to C# programming language.